EA has finally lifted the hood on this year’s Need for Speed game officially titled, “Need for Speed Payback.” In development by Ghost Games, Need for Speed Payback will race out to store shelves this November 10 for the PlayStation 4, Xbox One and PC. This explosive adventure is filled with intense missions, high stakes car battles, epic cop pursuits and jaw dropping set pieces. It’s blockbuster gameplay never before seen from the series, fueled by a gripping story of betrayal and revenge. With Need for Speed Payback, it’s no longer just about being the first to cross the finish line or racing to prove to be the best, it’s about building the perfect ride, getting behind the wheel and playing out an action driving fantasy. 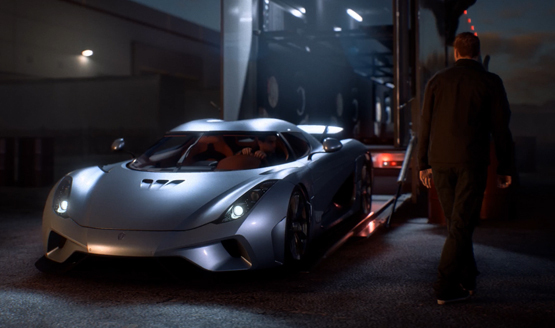 In addition to the announcement trailer, EA has also revealed the Need for Speed Payback pre-order bonuses players will get for plunking down some cash for the game early. That not enough? EA has also announced the Need for Speed Payback Deluxe Edition that gives players up to three days early access to the full game, along with exclusive customization items such as the Deluxe Edition license plate, NOS color, in-game discounts, Rep bonuses everything in the Platinum Car Pack and more. More details about Need for Speed Payback will be revealed at this year’s EA Play event at E3 2017, and yes, PlayStation LifeStyle will be on hand to take it for a spin and report on any new developments for one of the year’s biggest racing games.